With your support, Mary was able to reunite with her family at her bedside and present her grandson with a lasting token of her love. Mary was a dedicated mother of four and grandmother of eight. As she fought against end stage endometrial cancer and two brain tumors, she longed to reunite with her family one last time. Mary dreamt of being able to attend her eldest grandson’s graduation, but knowing she may not make the milestone because of her limited prognosis, opted instead to celebrate by giving him a class ring. Dream Foundation procured the ring for Mary’s grandson and coordinated to bring Mary’s extended family to her bedside in her final days. Although her strength weakened during their reunion, Mary glowed in the presence of her loved ones. She was able to present her grandson with the class ring, by which he will remember her. Mary passed away just three days later. Even through their grief, her family will forever cherish the special memories they made during their time together. Everyone from the recent high school graduate to the youngest grandchild will have memories of a loving grandmother and an understanding of the importance of family. 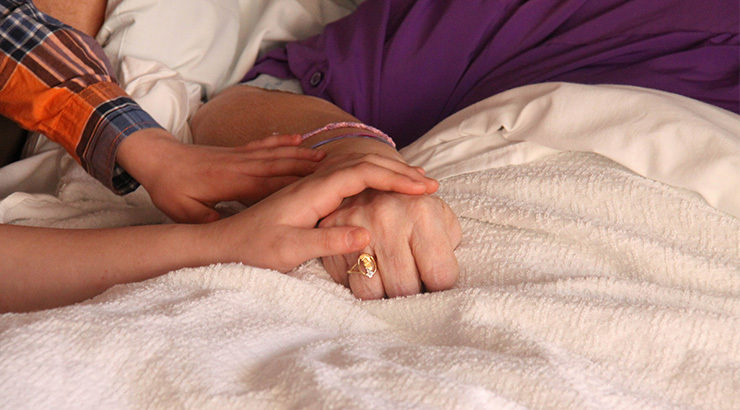 Dreams allow families like Mary’s the chance to say their final goodbyes and share lasting memories. Bedside reunions can bring closure and comfort to both the dream recipient and his or her loved ones. Thank you for making dreams like Mary’s come true.